Keywords, we all know the importance of adding keywords to our website, blogs and press releases BUT there are time I get brain freeze. Sure off the top of my head I can think of about 5 but then what? If I have the chance to add more BUT DO NOT OVER DO IT........you would want to add as many as you could within reason. WOW, how awesome was that video with hundreds of keywords you can use to target traffic and hopefully rank with Google and Yahoo!?!? Everyone knows that SEO is important for any online business, website, blog or even press release to thrive. We have all searched for something on Google or Yahoo and I can't tell you the number of times, I have tried my keyword searches to never find what I am seeking. 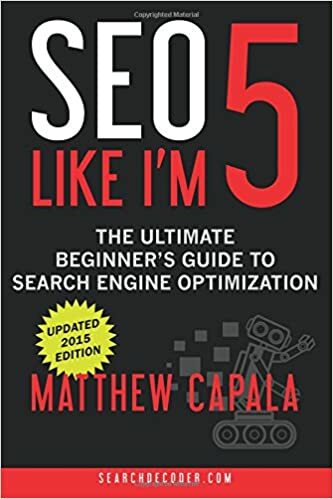 If you need to understand SEO or why it is important for keywords within your websites, blogs and Press Releases, perhaps the book below will help you understand. BUT AGAIN.....DO NOT OVER DO IT!! !